Home/CGC News, China Guide/Fitting a trip to Beijing into three days: The 72 hour transit Visa on Arrival! Beijing is one of the world’s most incredible cities. For all people may generalize it with negative stereotypes, it captures the epicenter of thousands of years worth of Chinese history. It is a city that has stood the test of time in the face of war, occupation and devastation. As the symbol of a great civilization that has shaped the region around it, it now stands as a thriving modern center of business, culture and education. The great news is that now there is a way to experience it without going through the burdensome and bureaucratic process of the Chinese visa. What might that be? The 72 tour transit visa on arrival, your gateway to a quick, touching and unforgettable experience. Here we explain the visa and outline some of the key sites you can squeeze in to your short, yet sweet trip! What is the 72 hour transit visa? The 72 hour transit visa is a program which allows you to spend, as the name suggests, up to three days in designed Chinese cities without a formal visa. In order to qualify for this scheme, you need to be of a certain nationality (Pretty much all Western countries qualify) but more importantly, you need to have an ongoing air ticket to a 3rd country within that time frame, so you should include it as part of a wider trip to Asia such as Japan, Korea, etc. As an important stipulation, that air ticket cannot be from another Chinese airport, it must be from Beijing. Likewise, you cannot leave China by other means. On arrival at Beijing airport, you must produce your itinerary to the third destination in order to achieve your 72 hour clearance. Once you’ve got this, you are free to go, so what is there to see? At the very core of Beijing itself, the city having outgrown around it, sits the Ancient Forbidden City, once an Imperial Palace home to dynasties and Emperors which stretched across Millennia. Bigger than the Vatican, the facility possesses a whopping 999 rooms. It is the biggest and most well preserved palace complex in the world, decorated with elaborate red dragon carvings, beautiful wood patterns, well crafted statues and peaceful parks. 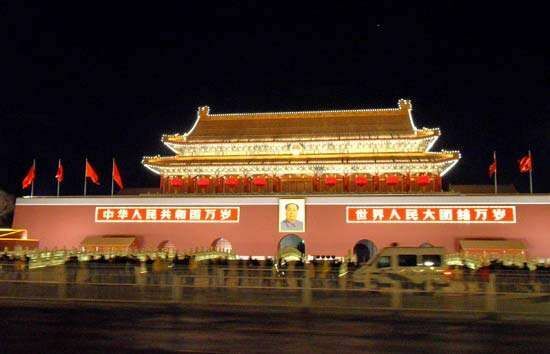 To the front of the city lies one of the best known sites of all China, Tiananmen Square, best known for its history in the People’s Republic. As part of the square complex sits China’s National Museum, the largest and most elaborate museum of Chinese history in the country, as well as the Great Hall of the People. Here, the Communist Party holds its congresses and high profile meetings. Finally, last but not least is the Mausoleum of Mao Zedong, where the former leader sits preserved in state (open only on mornings). 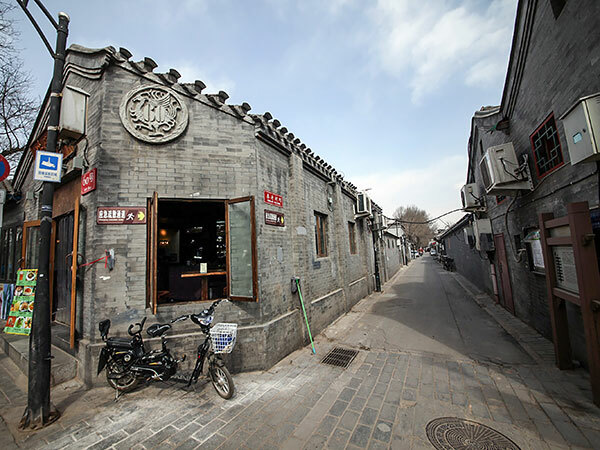 At over 700 years old, Nanluoguoxiang represents a classical area of “old Beijing”. Nowadays, it has become a trendy place, filled with vibrant cafes, bars and small stores. It can be found to the North end of the Forbidden city. Many famous Chinese artists and activists have been traditionally found here. It’s also a great place for gift shopping if it’s almost time to move on! The 798 Art Zone evolved from a post-industrial sector of the city to become a symbol of modern youth and counterculture in contemporary China. It is a thriving hub of art, creativity, exhibitions and fashion. The deteriorating scene of old factories is blended with a curious tint of modernity to create a surreal appearance and experience. One of the most peculiar galleries to check out here is the North Korean Mansudae Art Studio, which displays high quality paintings and sculptures directly shipped from Pyongyang. It is perhaps one of the few places on Earth North Korean art can be experienced without having to visit the country itself. Wangfujing area represents one of the most thriving and bustling shopping hubs in China. There are shops, shops and shops galore, with many leading world brands present there. It’s a fun place to eat with an endless variety of restaurants too. If you aren’t fancying anything too formal, then check out the street food areas in the side streets where you can experience delicious local delicacies, not to mention highly unusual foods such as roast baby pigeons and insects! Constructed in the Ming Dynasty, the Temple of Heaven or 天壇 (tiantan) was a sacrificial complex to ensure the prosperity of the people and their harvests. The best known building of the complex, known as “the Hall of Prayer for Good Harvests” sits in the center of the area towering over everything else and offering a great panoramic view of Beijing. On a morning, the park surrounding the facility becomes filled with senior citizens doing their regular wingchun exercises. The 72 hour transit visa offers you a quick snapshot of China’s capital city, a city which is fast rising to become of the most important in the world. As a city of history, government, art, culture and retail, it has something to offer with everyone. There is so much you can cram in to 72 hours as well, this is by no means an exhaustive list, I mean who can forget the great wall? But regardless, take this opportunity, in your next trip throughout Asia drop by in Beijing!